THE HARD WORD is a very proud supporter of Ronald McDonald House Charities. For five years we have offered our professional skills to the charity. 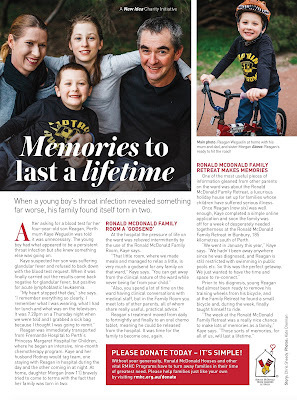 One annual project is the partnership with Pacific Magazines. 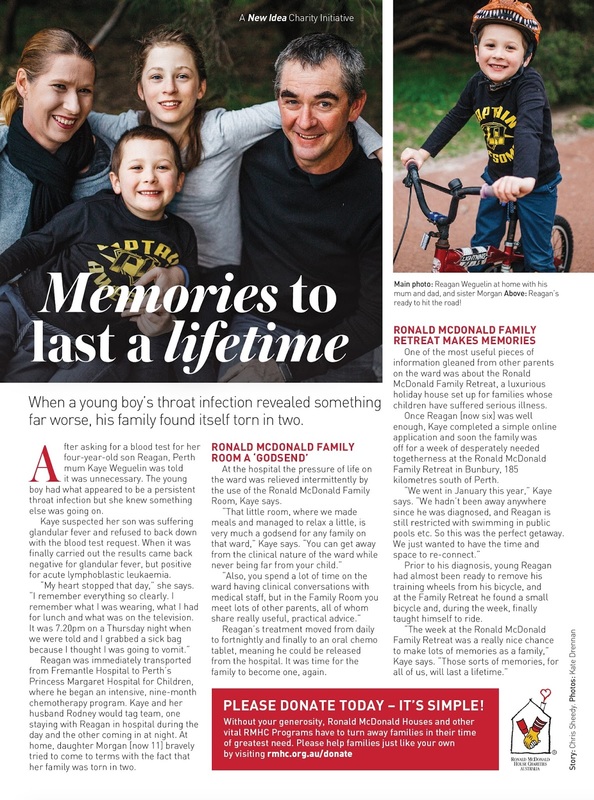 Using pages kindly donated by Pacific Magazines, in major newsstand titles such as New Idea and That's Life, we tell the touching and often heartbreaking stories of the work done by the charity. Here is one example of such a page.